This change has been made mainly to make easier for closely held companies to distribute dividend. There was a flaw in the tax system. On fully imputed divided paying company will deduct RWT and pay this to the IRD, and the recipient company will seek refund for RWT. The change reduces the compliance cost for both companies. The current tax system does not adequately deal with cash and non-cash dividend. The non-cash dividend need to be grossed up for RWT calculations, regardless of there is sufficient cash dividend to cover RWT. When a company pays a non-cash dividend, such as a taxable bonus issue, the dividend is still subject to RWT. The non-cash dividend is required to be grossed up because the RWT cannot practically be withheld from the non-cash amount. 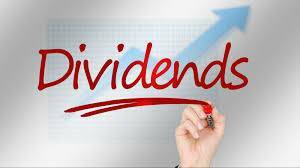 When a company pays a non-cash dividend concurrently with a cash dividend, both dividends are subject to RWT. The two dividends are treated as separate dividends meaning that the non-cash dividend is still subject to the gross-up even when the concurrent cash dividend is sufficient to cover the RWT obligation on both dividends. This can result in the RWT obligation across both dividends being higher than it should be. It also adds complexity and compliance cost. A new section RE 14B is inserted in the Act. It provides the payer with the option of combining cash and non-cash dividend payments and accounting for RWT as though they were a single dividend. The proposed new section will only apply when the cash dividend alone is sufficient to cover the total RWT owing, meaning that RWT will be paid by deduction rather than gross-up, and the payer has elected for the section to apply. (ii) if a dividend is paid in relation to shares issued by a company not resident in New Zealand, the amount of foreign withholding tax paid or payable on the total amount of the dividends. Example Co. X wishes to provide a non-cash dividend of $360. The non-cash dividend has imputation credits of $140 attached. Co. X wishes to provide a cash dividend solely to satisfy the RWT liability. If Co. X provides a cash dividend of $37.30, the RWT payable is also $37.30. The above simplifies the payment of RWT, this can be used to clear overdrawn shareholder current account. Intended users are the closely held small companies. However, there is still layer of complexity for deducting RWT.